The Human Rights Watch Film Festival is in full flow, continuing throughout this week at the Barbican and Regents Street Cinema and culminating on Friday 22nd May with the UK Premiere of Everything Must Fall. South African director Rehad Desai takes a deep-dive into the #FeesMustFall, and the genesis of the #RhodesMustFall, student movements at Wits University, Johannesburg, which became a national, then international conversation. 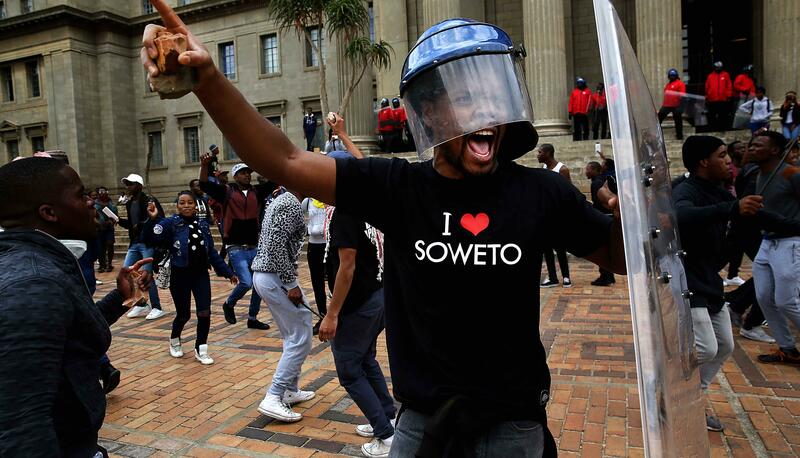 The movement brought attention to the exclusion of poorer black South Africans from higher education, then ultimately calling for the decolonization of the entire education system in 2015, which in turn began the wider international movement.